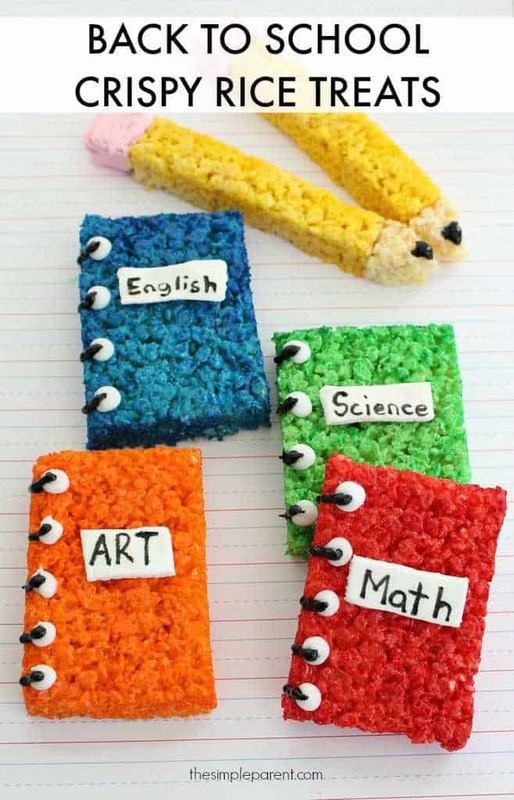 These uncomplicated Back to School Pencil Pops are a delicious treat to kick off the school year! Back to School season is always exciting in my family. 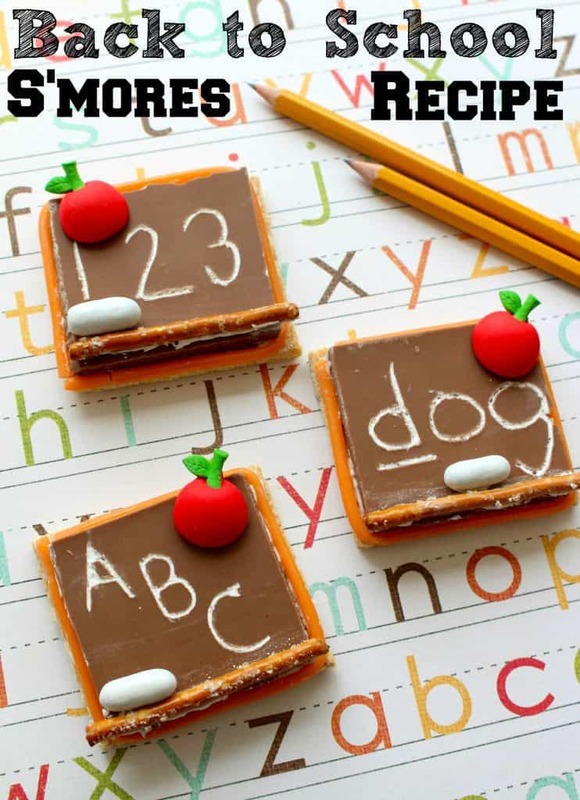 My kids LOVE going back to school and seeing their friends and getting back into the swing of things. This year, however, the weather still feels like it’s summer outside because the weather has been in the 90s! To keep cool, my kids love popsicles and ice cream. However ice cream has so much sugar that I find it hard to justify eating ice cream every day during summer. 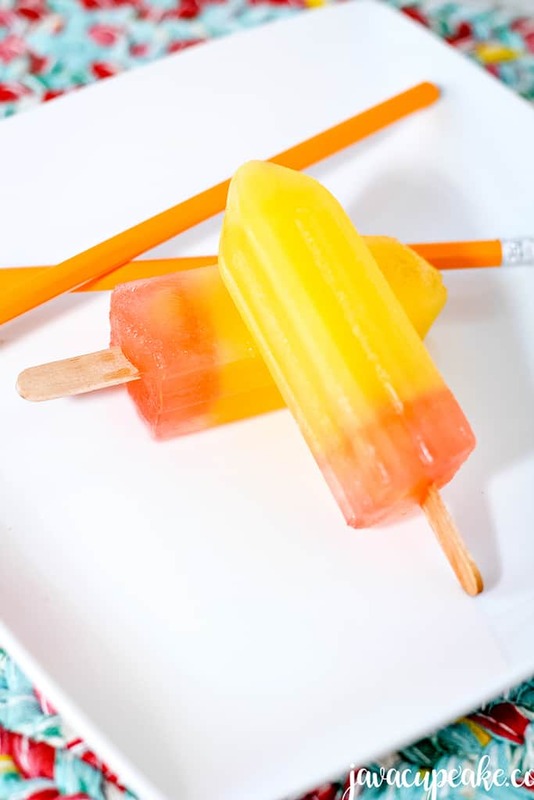 These simple to make Back to School Pencil Pops are low in sugar and high on flavor! 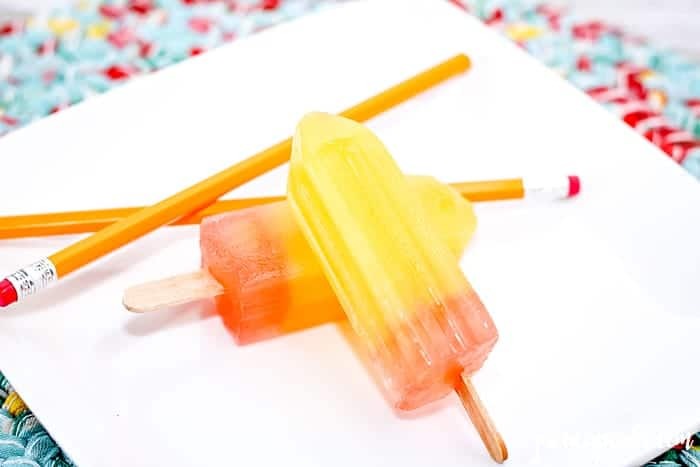 Using a pencil shaped popsicle mold gives an extra layer of fun to this sweet treat! If you don’t have a pencil mold, I’ve seen these made in regular popsicle molds as well and they’re still super cute! The sky is the limit when it comes to color combinations and popsicles. Use your imagination and have fun! 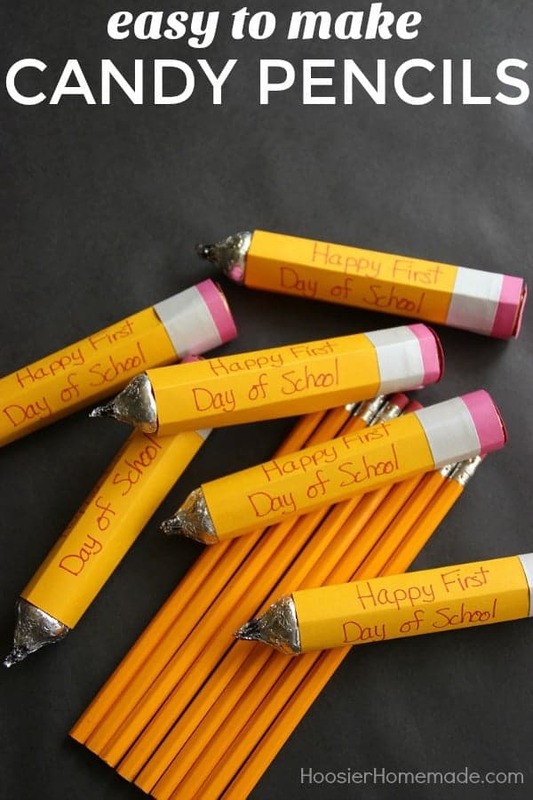 Here are some more cute, fun ideas for back to school treats! Enjoy! 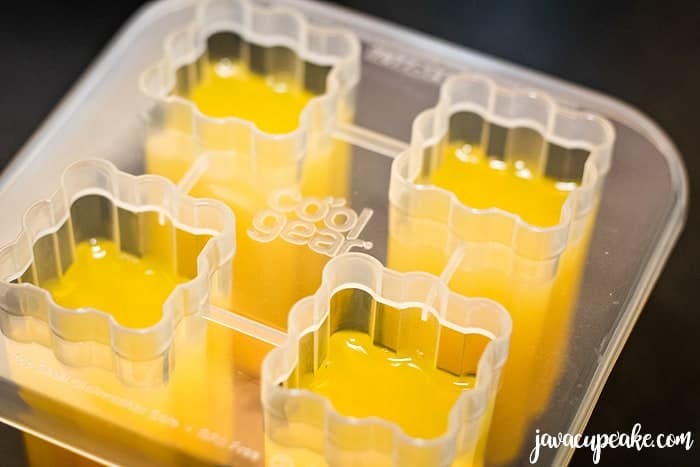 Fill the popsicle mold 3/4 of the with the orange drink. 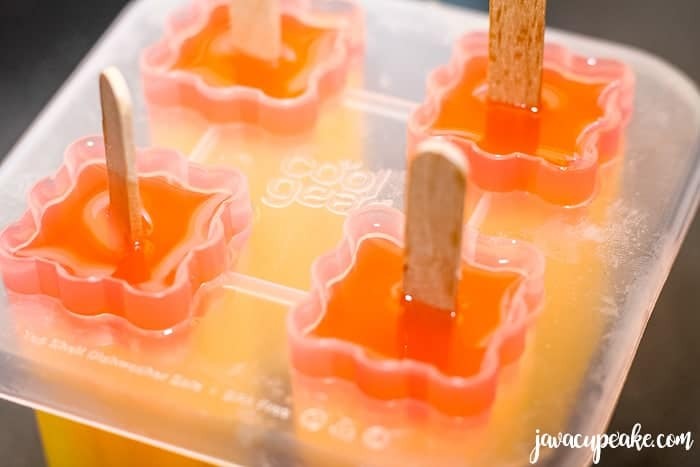 Place aluminum foil over the top of the mold and gently poke popsicle sticks through. The foil helps to hold the sticks in place. Mix the Gatorade with 1-2 drops of pink food coloring. 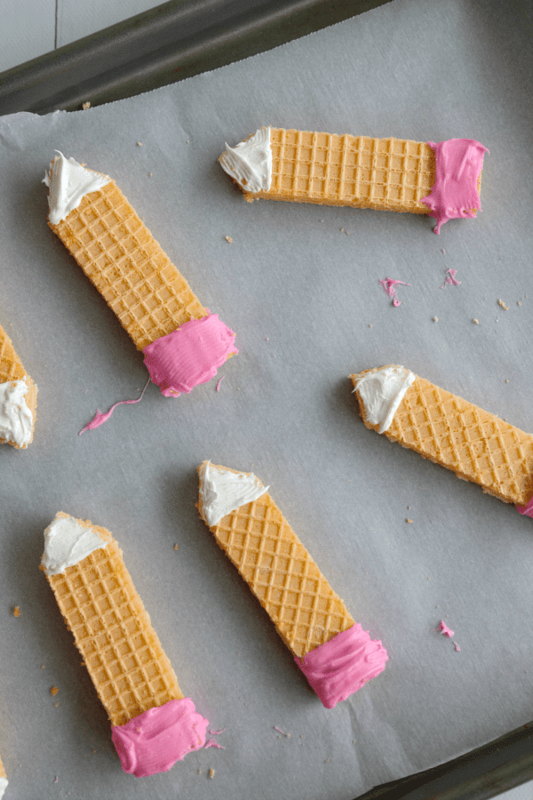 Remove aluminum foil and finish filling molds with pink Gatorade. Remove from molds serve and enjoy!